The government is to consult on options to ban older tyres from use on buses, coaches, heavy goods vehicles and minibuses. 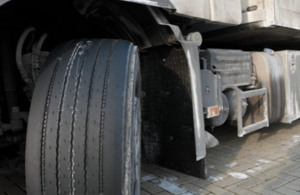 The Department for Transport announced last week that it will begin a consultation on legislation to make it illegal for these vehicles to run with any tyres aged 10 years or over. Transport Secretary Chris Grayling said: “Keeping people safe on our roads is our priority, and we have been working hard to understand the link between tyre age and road safety. The consultation follows the ‘Tyred’ campaign, led by Frances Molloy, whose 18-year-old son Michael was among three people killed in a coach crash on the A3 in 2012. The collision was caused by the failure of a 19-year-old tyre on the front axle of the coach. Roads Minister Jesse Norman said: “I want to pay tribute to Frances Molloy and the Tyred campaign for their brilliant campaign to ban older tyres on buses and coaches. The government commissioned research last year to establish the effect age has on the integrity of road vehicle tyres, and the Transport Research Laboratory has worked with a leading laboratory in the United States to carry out testing and analysis, the outcome of which will be published later in the spring. The SMMT said it would be providing a response to the consultation.